Clarks road brake pads with ultra-lite carbon carrier and insert pads for carbon rims, all major road brake systems, 52mm. 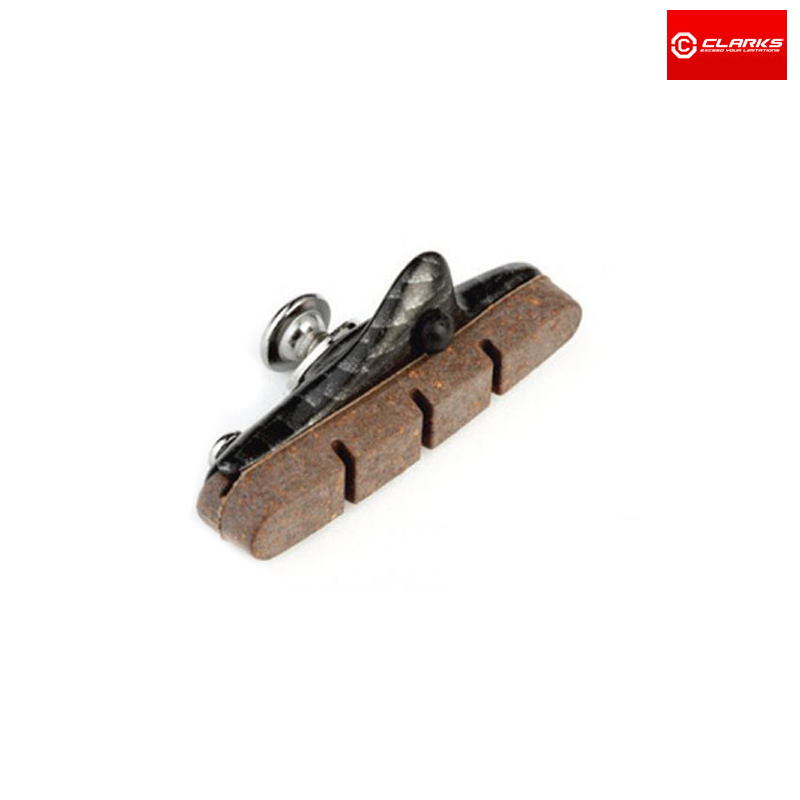 These Clarks brake pads and holder are compatible with all major caliper brake systems and can be used in all weather conditions. Will a pair of these holders be sent including a pair of brake pads? I also think these are aluminum holders with carbon fiber effect? You will receive a pair of brake holders and pads.